Raj is an ardent coder who loves exploring new technology. He is an IT pro with 9 years of exp in C#, Angular, React, Vue. So function in a C program has some properties discussed below. Every function has a unique name. This name is used to call function from “main()” function. A function can be called from within another function. A function is independent and it can perform its task without intervention from or interfering with other parts of the program. A function performs a specific task. A task is a distinct job that your program must perform as a part of its overall operation, such as adding two or more integer, sorting an array into numerical order, or calculating a cube root etc. A function returns a value to the calling program. This is optional and depends upon the task your function is going to accomplish. Suppose you want to just show few lines through function then it is not necessary to return a value. But if you are calculating area of rectangle and wanted to use result somewhere in program then you have to send back (return) value to the calling function. 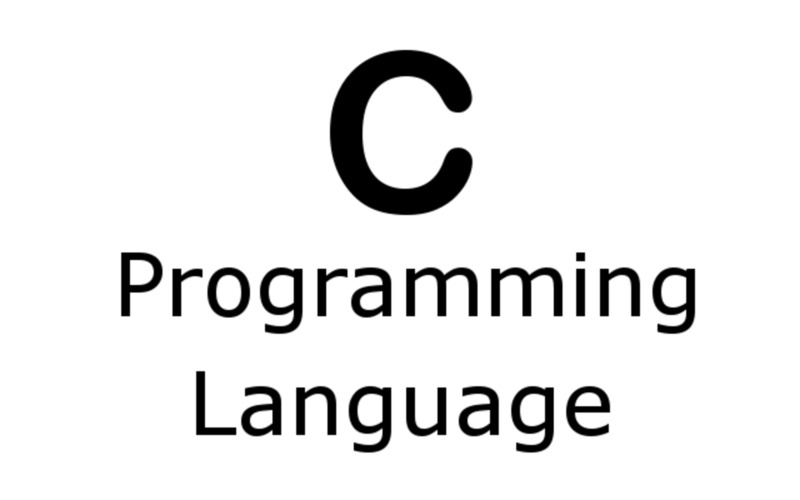 C language is collection of various library functions. If you have written a program in C then it is evident that you have used C’s inbuilt functions. 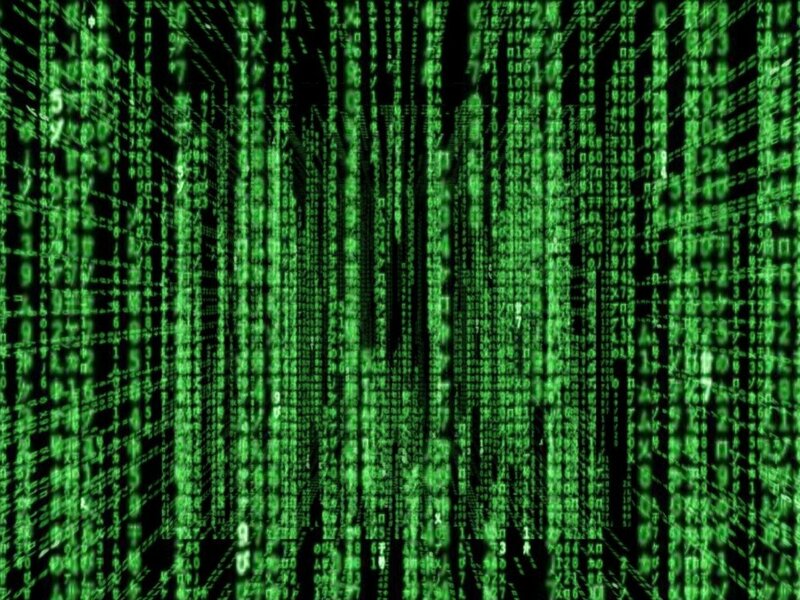 Printf, scanf, clrscr etc. all are C’s inbuilt functions. You cannot imagine a C program without function. Function prototype is very simple concept but the word (prototype) we use to call it makes it difficult to new C programmer to understand. In simple word, function prototype tells compiler that we are going to use a function which will have given name, return type and parameters. It’s that simple. Function definition on the other hand is just writing logic of any function. For example you have one function prototype in C program for adding two integer numbers (i.e. int add(int, int)) but along with prototype you also have to write logic how that function will behave (respect to above prototype; how you will utilize those two passed integer value and how you will return value) when you will call that function. 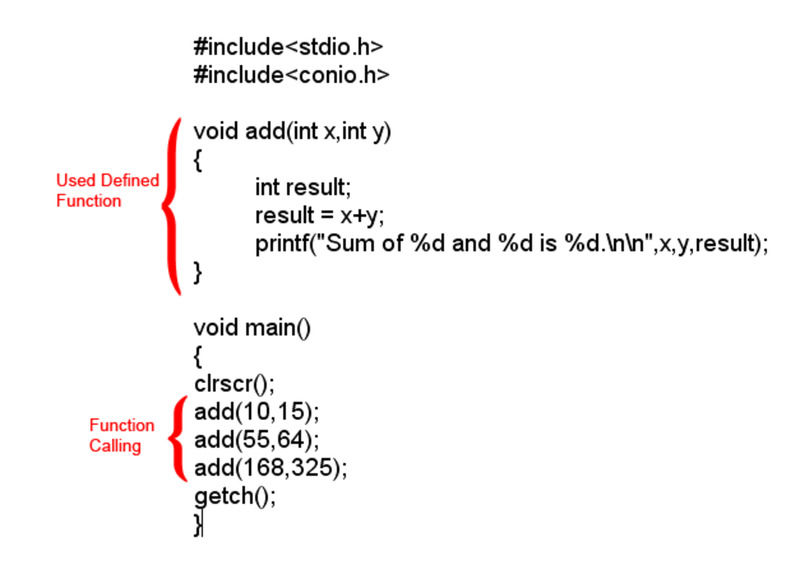 Now we have a simple C program to demonstrate function prototype and function definition concept. We will start from line no. 4 & 5. In these two lines we have function prototype, line no. 4 has a simple function prototype which doesn’t have parameters or return type. It’s very simple to declare a prototype, see line no. 17 & 4, both line are same except prototype requires semicolon (;) at the end. Code block (line no. 17-20) is function definition for our first function prototype (i.e. line no. 4). In this block we are defining behavior of that function and in my code it’s just printing a simple message for demonstration. Similarly we have second function prototype (line no. 5) and it has parameters and return type. Code block (line no. 22 – 25) is definition of above function prototype. One important point for function prototype having parameters; in prototype, variable name for parameters is optional (see line no. 5). There is no variable name for int parameters, its (int, int). But in that prototype’s function definition you must provide parameter variable name (see line no. 22). We have (int a, int b) parameter name. One more important thing, if you writing function definition above main() function then you don’t need to write prototype of that function. But it’s a good practice to keep all the functions below main() function. It makes possible top down modular programming. 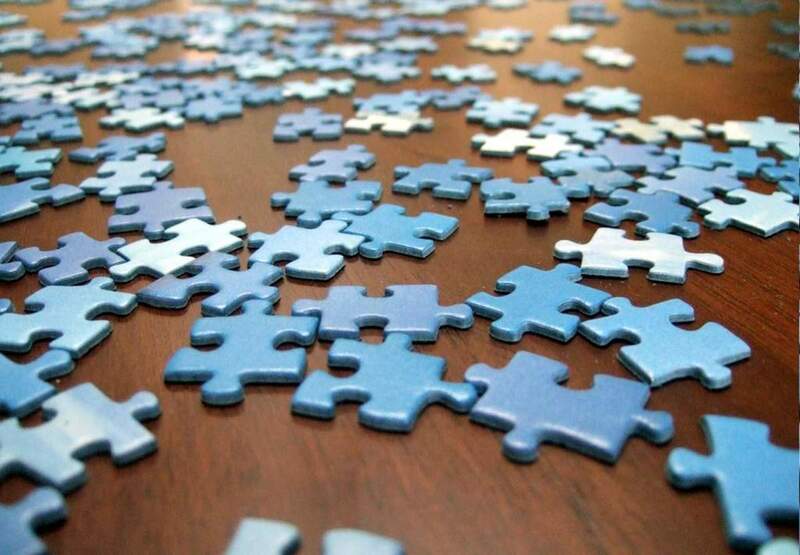 In this style of programming, the high level logic of the overall problem is solved first while the details of each lower level functions is addressed later. The length of the source program can be reduced by using functions at appropriate places. It becomes uncomplicated to locate and separate a faulty function for further study. A function may be used later by many other programs this means that a c programmer can use function written by others, instead of starting over from scratch. A function can be used to keep away from rewriting the same block of codes which we are going use two or more locations in a program. This is especially useful if the code involved is long or complicated. Functions with no arguments and no return values. Functions with arguments and no return values. Functions with arguments and return values. Functions that return multiple values. Note : You can find details about different types of function in C language, click here read it now. Before I explain, let me give you an overview of above c program code. This is a very simple program which has only function named “add()” . Calling this C function from “main()” is very simple. This “add()” function takes two values as arguments, adds those two values and prints the result. Line 3-8 is a function block of the program. Line no. 3 is the header of function, void is return type of function, add is function name and (int x, int y) are variable which can hold integer values to x and y respectively. When we call function, line no. “12, 13, 14”, we need to send two integer values as its argument. Then these two values get stored in variable x and y of line no. 3. Now we have two values to perform addition; in line no. 5 there is an integer declaration named “result”. This integer will store the sum of x and y (please see line no. 6). Line no. 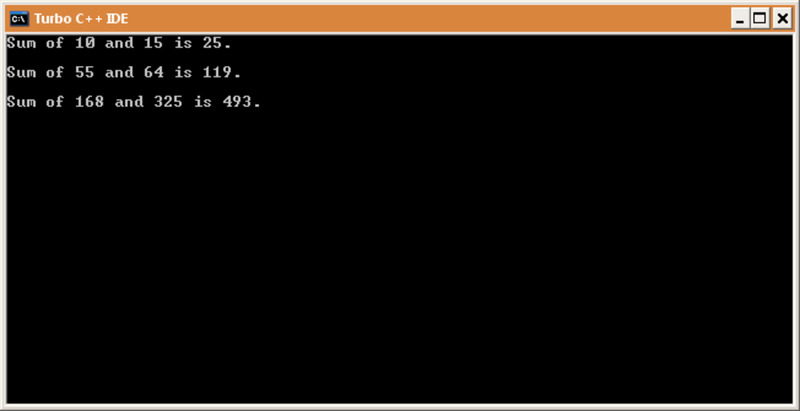 7 simply prints the result with C’s inbuilt function “printf”. Now imagine the same program without using function. We have called “add()” function three times, to get the same output without using function we have to write Line no. 6 & 7 three time. If you want to add more value later in the program then again you have to type those two lines. Above example is a small and simple program so it does not appear great to use function. But assume a function consist 20 – 30 or more lines then it would not be wise to write same block of code wherever we need them. In such cases functions come handy, declare once, use wherever you want. How to Reverse a Number? Did this tutorial helped you to learn function in C language? Yes, its clear to me now. This article need improvements, its not written clearly. Helpful information. Fortunate me I found your website unintentionally, and I am surprised why this twist of fate didn took place earlier! I bookmarked it. Good write ups, With thanks..
What is the difference between calling a function by value and by reference? what is the differece between formal and actual arguments? Dear Raj, many thanks for a clear exposition of each theme. I didn't see an example for something similar to what I am trying to code. I am using a Pic 18F2550 and the C18 c0mpiler. The program itself is very simple in structure. You explained some very important things to me. I program quite well in Pic Assembler but you helped me see. 2. The assembler program usually has a MAIN which basically "call" a set of subroutines. 3. Just one little problem . In the above thermometer example, before you can send data to the LCD, you need to Initiate with a series of set up commands. This is a ONE TIME block of code. 1. Read NTC resistance do 10bit voltage to Resistance conversion..
4. Go back to 1. for the next temperature reading. I'm thinking this is a loop , an infinite while(1) loop only broken by an out of range voltage. I'll keep on reading your C seminar to see if you think something like this could be of general interest. Can help me do this? Write a complete user friendly menu driven C program to perform Matrix operations such as Addition, Subtraction, Multiplication and Transpose according to the user’s choice. that's call function definition.Very good function describe and give the examples. it's easy example for explain. sorry ,but i am weak in c.
i hope you can helped me. please give me 'c' notes. can you help me to do this? i cant get the output, but there's no mistakes in my coding. Hope you can help me.. thank you! I love c language thanks to chetan vyas sir. mai kuch mahine pahale c me kuch bhi nahi janta tha aur aaj mai program ache se kar leta hu jiska pura shrey chetan sir ko jata hai jisne itni mehanat ke sath mujhe padaya aur mujhe guide kiya thanks sir. 60 to 69=B,50 to 59 =C,less than 50=F. kathy got the higest . sample out put:joli got the higest number. Thank you this is really very helpful for me. Thanks again. hi!sir could you please give me an idea to make this program!! 1. Write a program that determines whether a positive integer is a prime number. A prime number is a number that can only be evenly divided by 1 and itself. The program should contain the function,isPrime, and returns 1 if the integer is a prime number and return 0 if otherwise. thanks sir it was amazing. am asking: 1. what is prototype? can explain other way plz. 2. call by value,call by reference ? why do u write getch() in void main()? How do u realize whether your function should return a value? thanx, it's good using function. It is a good progrram using function. thanx dude u are a great teacher. my whole problems are solved now in function. what are the type conversions ?explain with the help of an example? i'm realy thankful to u. Can we pass "result" as interger as argument inside the add function, without passing separately? This is so clear and easy to understand.Thanks a lot. pls explain c progrmming ?? sir can you please give some more examples of functions that will make it more understandable??? how to develop the program swap the no without using variable? I have a tc through which i execute all my c & c++ pgm. I want to run Window base pgm through my tc compiler but it has not window.h header file. How can i add that header file into my tc. hello brother is this enough to study c language?